This rectangular house is an exercise in simplicity. 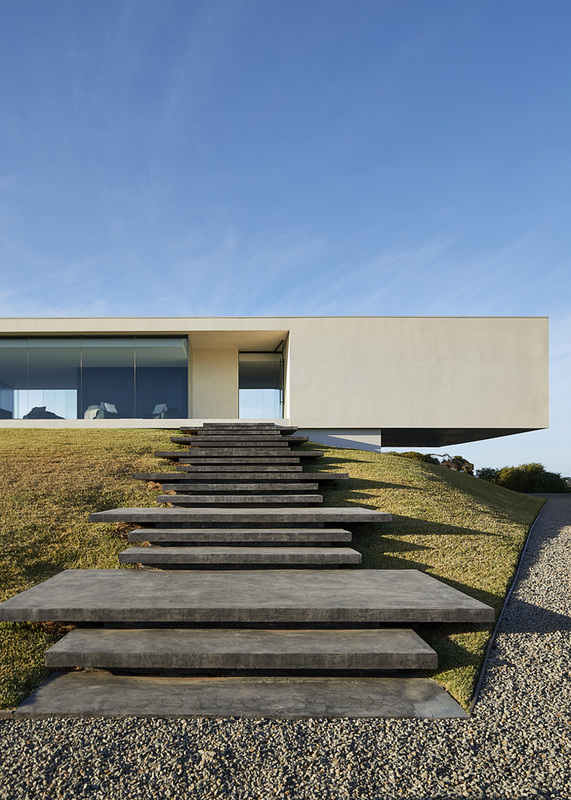 Built on top of a hill in Portsea, Australia, the modern home is comprised of three parts that connect together and stretch into an elongated volume. Its exacting shape and sharp edges are a lovely, if unnatural, contrast to surrounding rolling hills and ocean. In a clever move, FGR Architects took advantage of the hilltop site, perching the house atop a base to give it the appearance of floating in midair. In another visual trick, the house cantilevers nearly 20 feet over the driveway—a dramatic effect that’s as practical as it is visual since the hangover provides cars with covered parking. The 3,660-square-foot-home is flanked by floor-to-ceiling windows, which makes it easy to peer from the front of the house to the back, where a deck and swimming pool span its length. And don’t forget to check 12 of the world’s most extraordinary swimming pools.